Okay, we know you put in those hours grinding away at your job for the whole year. So we’re throwing a little something special so you can make up for all that time not spent partying. 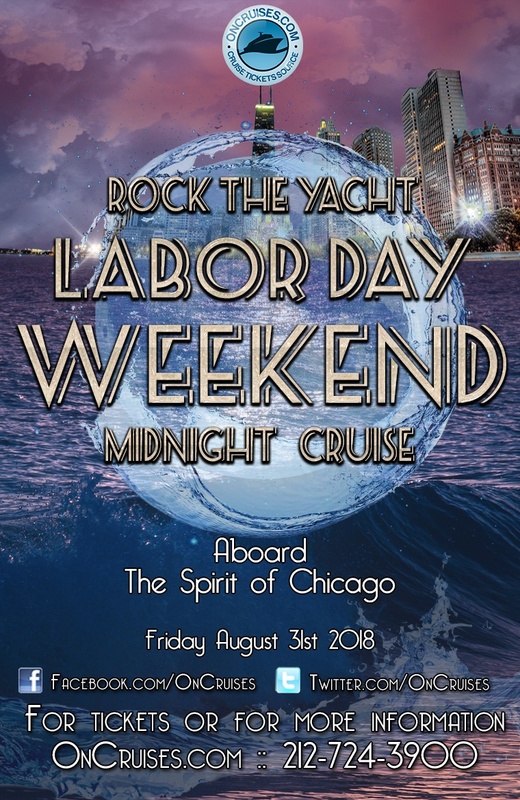 We’ve got an all white yacht party in Chicago coming this Labor Day weekend. Enjoy a night of sweet views, drinks galore, a fun and lively atmosphere, and great music. Tickets To This Stellar Midnight Cruise Won’t Last Forever! Order Yours Now! Head to Navy Pier and hop aboard the Spirit of Chicago yacht, a beauty of a vessel containing 4 floors, including an observational deck where you can enjoy the sweet sweet views of the Chicago Skyline. Take a gander of wonderful sights like the AON Center, Adler Planetarium, and the Willis Tower. So now you know what’s going down, where it’s happening, and when. Now all we need to know is why haven’t you purchased that ticket yet? Hurry! Before we run out of space on this all white yacht party in Chicago this Labor Day weekend. Remember! This is an all white labor day weekend event. So come dressed for your finest all white attire. Keep Scrolling Down And Get Your Ticket (s) Now! We know how much you love to take pics on a night out. Why not share those moments with us? Post up all those great turn up moments on social media! Just don’t forget to Tag us Facebook and Instagram, and @ us on Twitter. Use #OnABoat and let everybody how you like to party!